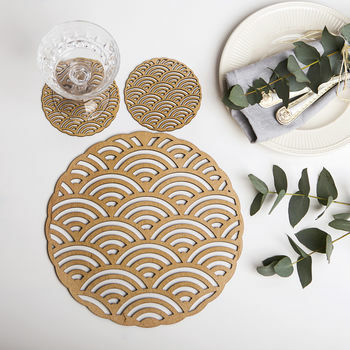 The perfect eco-product wooden placemats and coasters set for your home. Beautifull, functional and practicality design. Made from sustainable natural material these wooden placemats will protect your table surface from hot plates and stains and will add a touch of style to your dining table.These sustainable placemats are a perfect and original gift. They make a fabulous housewarming gift for a first apartment, birthday or, just a functional item for your home. Note: The wood grain and colour may vary a bit due to the variable nature of natural materials. 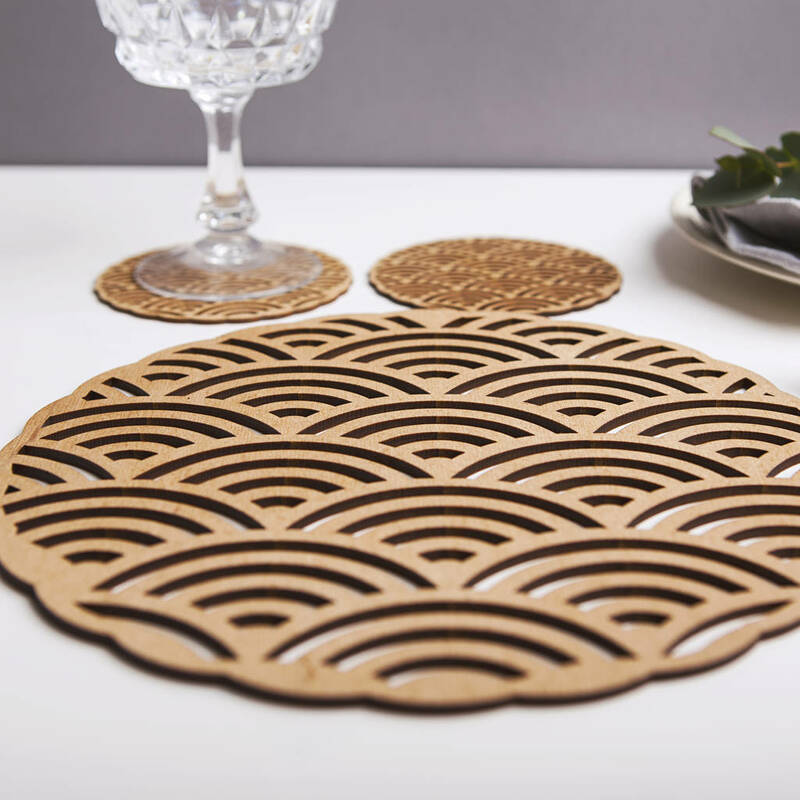 The placemats wood might be darker or lighter than in the picture shown. MADE TO ORDER: Available in set of 4 and 6 .and placemats only.